Amador denied knowingly taking a banned substance at a hearing in July but did not file an appeal over the test results. 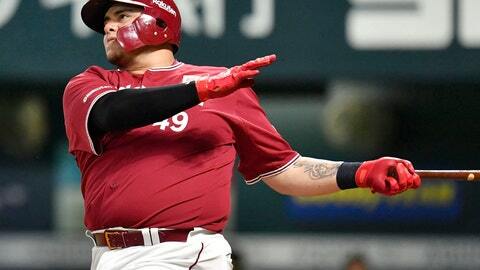 In 62 games for the Rakuten Eagles this year, Amador posted a .269 batting average with 20 home runs. Amador joined the Eagles in 2016, a year after leading the Mexican Baseball League in home runs.